Taking a break from the lab environment and working on some cartoonish pieces. These were a lot of fun to do, cartoon != easy, ha. 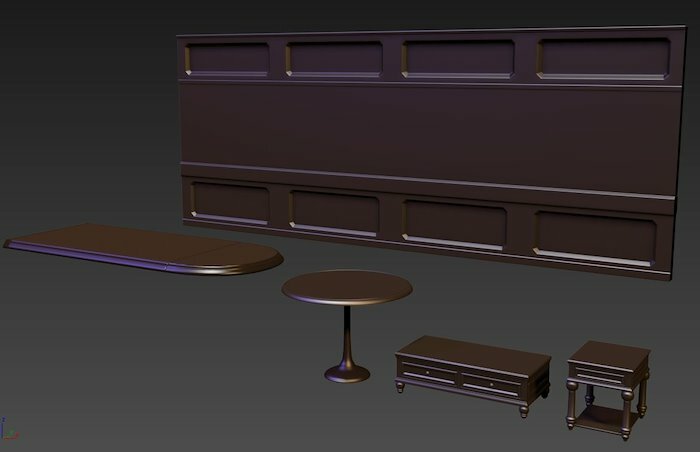 The couch is almost 70% complete, there is still a fair bit of high poly modeling left to do in certain areas before I can do a final bake and work on the materials. 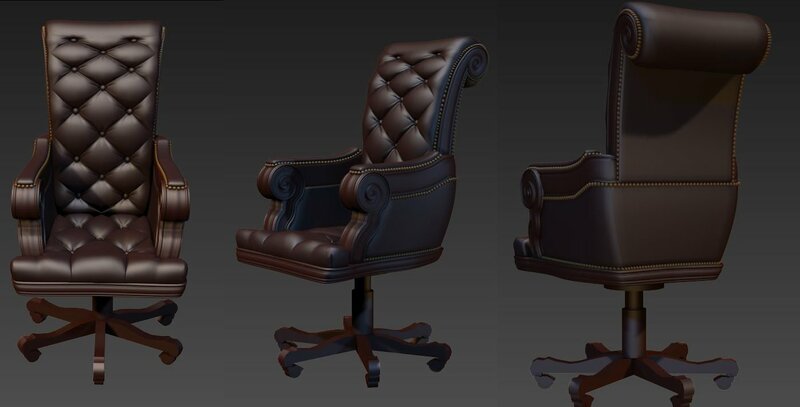 Here is what the final low poly version of the executive chair looks like in Unreal4. I still have a little work left to do on the materials and maybe some optimization during the polish pass but for now I'm calling this done. 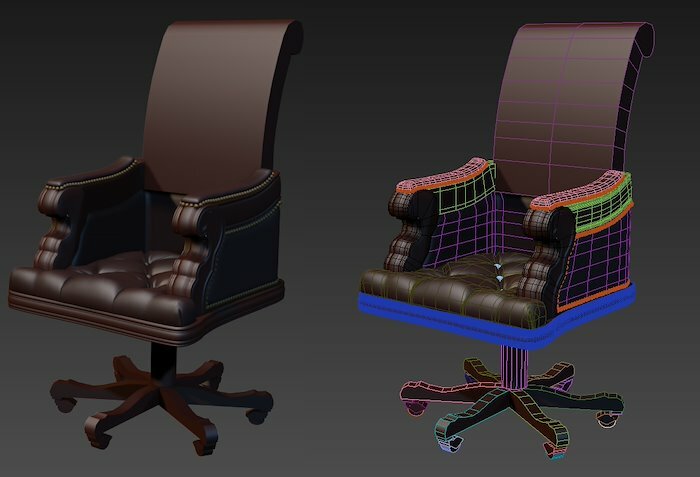 Executive office chair, progress. The padded leather and the legs need some work then it's onto the low poly. 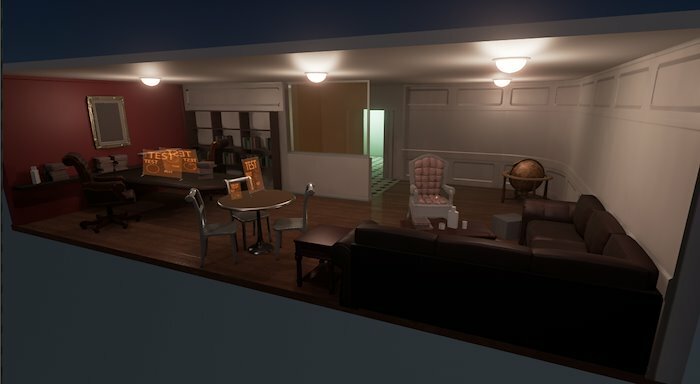 Here is the progress I've made so far on "the scene". 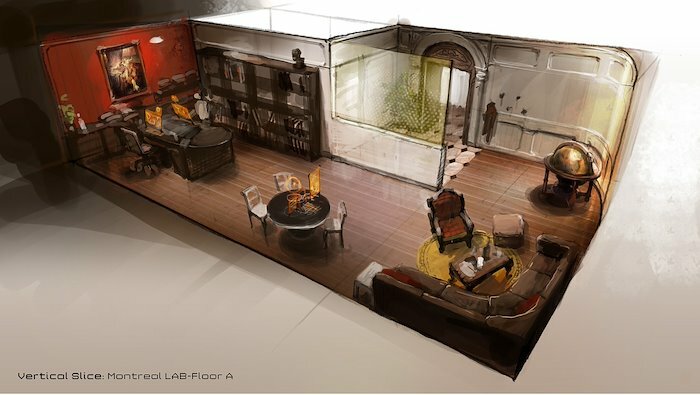 It is based on a concept "Montreal Lab Floor A" done by Thierry Doizon for Dues Ex HR. Here is a quick breakdown of a simple technique to add some variation to a procedural wood material. 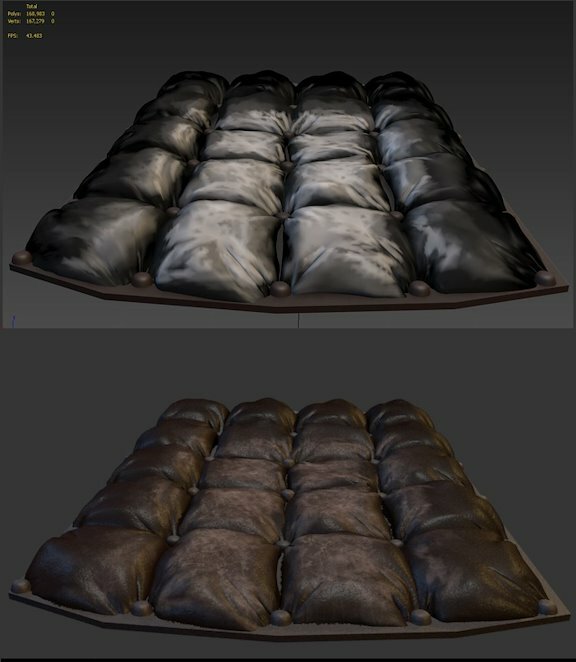 First off you need to unwrap and apply procedural materials or tiling textures to the high poly. 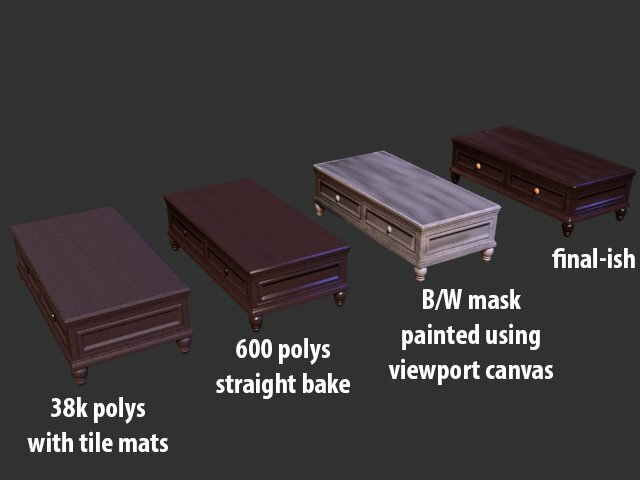 Remember that materials applied to the high poly also bake down, including normal, spec and diffuse, so you can capture much more than just geometry. 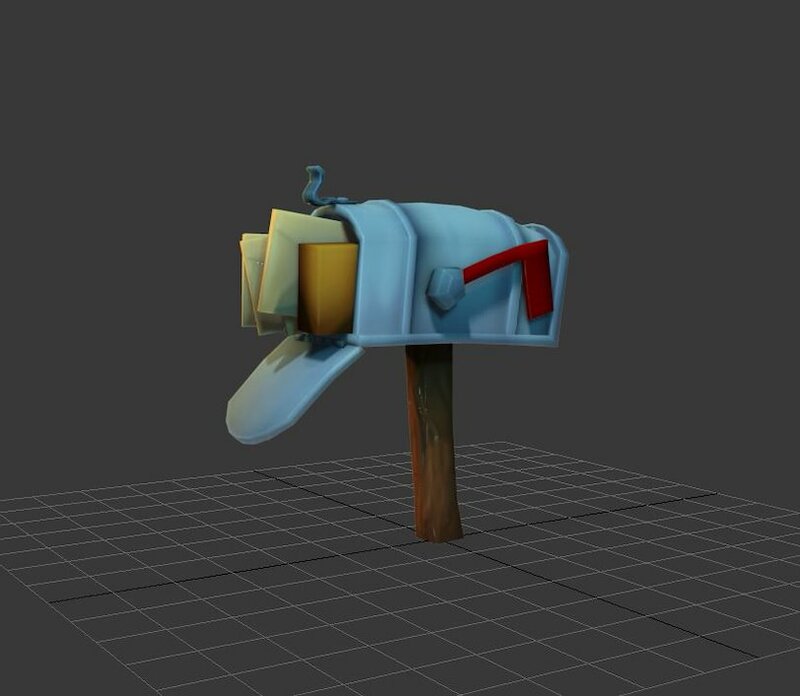 Also you can use Neil Blevins box mapping technique to get rid of seams on your high poly. With an object like this it helps get the wood pattern on the low poly UV layout, regardless of seams the patter flows from shell to shell perfectly. 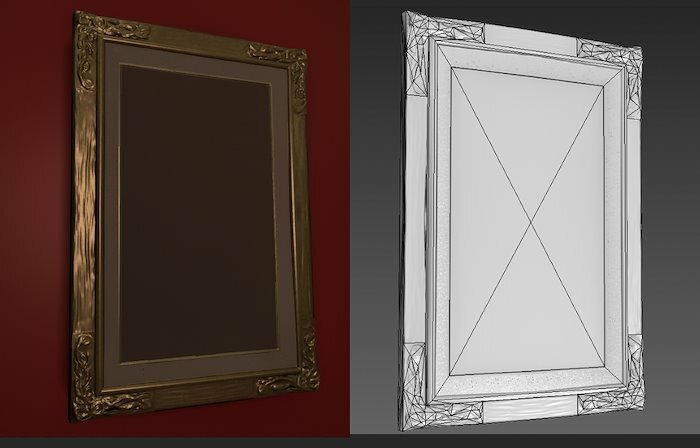 After baking, the procedural materials are often lacking unique detail like wear, scratches, stain and lacquer build up. So, fire up viewport canvas and paint a new mask that you can use to add this variation. Mix it with an Ambient Occlusion bake to the diffuse and you're off to a really good start, really fast. Also keep in mind you can use vertex paint (padded leather) and blend materials to paint masks on your high poly and they will bake down to your low poly. 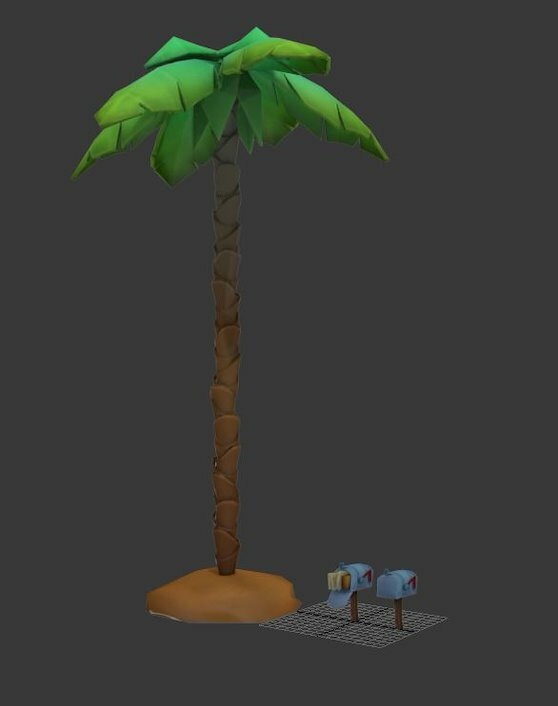 Here are some other high-ish poly assets, I've created for this scene. 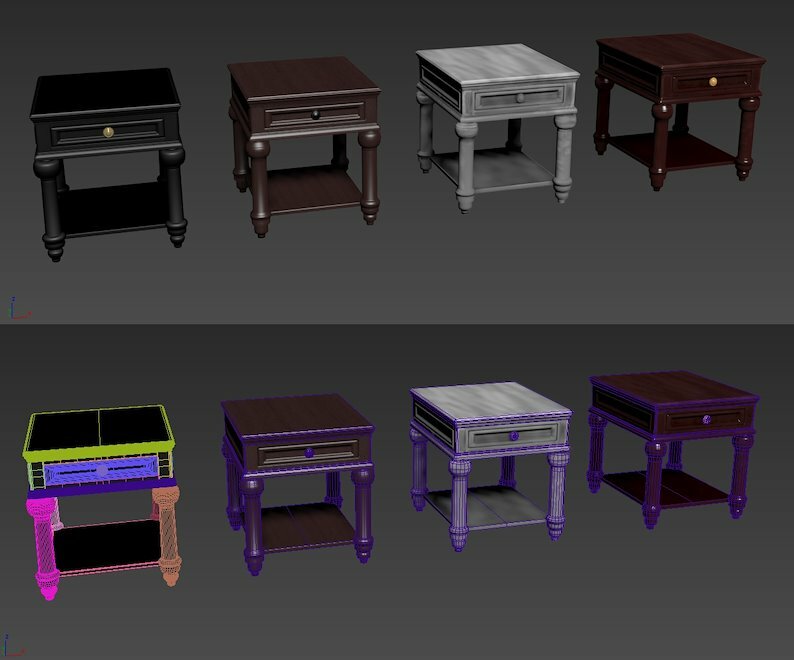 They have all been converted to low poly, unwrapped and baked but I'm still working on the final materials. A globe that I'm working on for an Unreal4 environment I'm working on.